Back in print for 2012, with 32 pages of new content! For 100 years the Seelbach Hotel has been a bastion of stately, elegant architecture in the grand old style, offering world-class dining and Five-Diamond service. 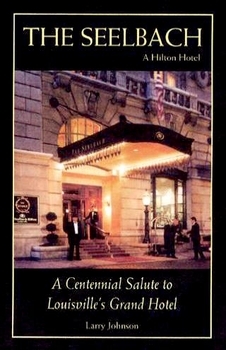 Along the way, the hotel has hosted its share of celebrities, presidents, movie stars, famous writers, gangsters and even ghosts, all of whom are discussed in lively fashion in this centennial compilation by Larry Johnson, the hotel's concierge and consummate chronicler of the Seelbach's curious legends, myths and history. Larry Johnson is a former National Bellman of the Year for the Seelbach Hilton and today its lobby concierge. He has been with the hotel for nearly 25 years and has met and helped a wide variety of hotel guests, celebrities, movie and television stars and sports personalities. During this time he has become the official historian for the hotel and the chronicler of all Seelbach legend, myth, and history, especially involving stories of the ghostly kind.